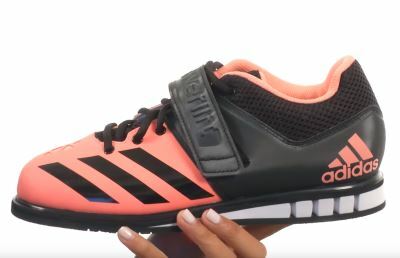 The Adidas Performance Women’s Powerlift 3 Cross-Trainer Shoe is essentially a newer, more improved and upgraded version of the highly popular and notably high-rated Adidas Powerlift 2. It is certainly greatly improved and more powerful. Plus, it is currently rated #1 in our women’s weightlifting shoe guide. It features a lockdown fit style, and it’s innovative extra-wide design allows your foot to spread out for maximum stability. The Powerlift 3 is a shoe where the upper is snug-fitting and the midfoot strap is wide to offer extra support, just where it is needed most. The midsole has a high density die cut wedge that keeps the wearer closer to the ground while also offering added lightweight stability, more so than other non-performance shoes. The Powerlift 3 trainer shoe features a rubber sole, a lace-up, hook-and-loop strap overlay, and an air-mesh tongue, collar and lining. The outsole offers anti-slip properties giving you the maximum amount of grip possible. One reason is that it is a very high-quality weightlifting shoe. If you’re seeking a pair of shoes for the gym at a reasonable price that will also aid you in achieving the results that you want while at the gym, the Adidas Performance Powerlift 3 Cross-Trainers just might be exactly what you need. This shoe is designed to handle virtually any level of weight that is thrown at it. 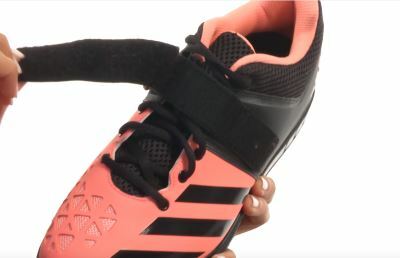 Although it’s primarily intended to be worn as a weightlifting sneaker, it has the flexibility to also handle minute amounts of jumping, sprinting and even rope-climbing; pretty much any and all activities you would participate in while enduring a CrossFit type of workout and/or training session. However, when it comes to workouts and routines that focus mainly on weightlifting, these shoes truly foot the bill. If you happen to be a person with very narrow feet, the extra-wide fit of the Adidas Powerlift 3 Cross-Trainer shoe might not be the most ideal choice for you. The price of this shoe may put a dent in some wallets as it is in the $100 range. 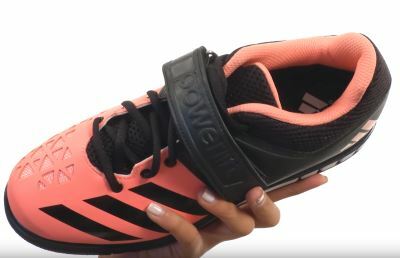 If you happen to be in the market for a high-quality pair of shoes that are especially designed for powerlifting/weightlifting activities, the Adidas Powerlift 3 Cross-trainers should most definitely be up for consideration. Their innovative design and reasonable price tag make them worth considering for any female weight trainer.